Don’t Drive if you are Under the Influence of Prescription Drugs! Many North Carolina drivers have the false impression that they can legally drive after taking drugs so long as those drugs were legally prescribed. In fact, North Carolina DWI law dictates that driving under the influence of any “impairing substance” is a crime, and having legal permission to consume that substance is not a reasonable defense. Driving under the influence of prescription drugs is an extremely common problem, not just in North Carolina, but also in the United States as a whole. A report from the Governors Highway Safety Association found that in 2016, 44% of drivers who died in car accidents were flagged as positive when tested for drugs in autopsy. Roughly 11% of these drivers tested positive for opioids. Opioids and many other types of prescription drugs can have dangerous side effects on par with (and sometimes worse than) the effects of alcohol or controlled substances. When drivers make the mistake of taking these drugs before getting behind the wheel, they put all North Carolinians at risk. 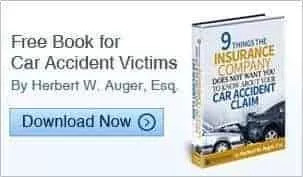 Victims of car accidents caused by these drivers can receive major injuries and rack up huge medical bills. The unfortunate circumstances surrounding injury accidents often influence the decision to hire a car accident attorney in Charlotte to represent their claims against at fault drivers and their insurers. Experienced injury attorneys are tasked with fighting hard for their clients in order to recover their full compensation that the law provides for injury victims. You should already know that it is never a good idea to drive if you are under the influence of any drugs, alcohol or other substances that are going to affect how you drive. 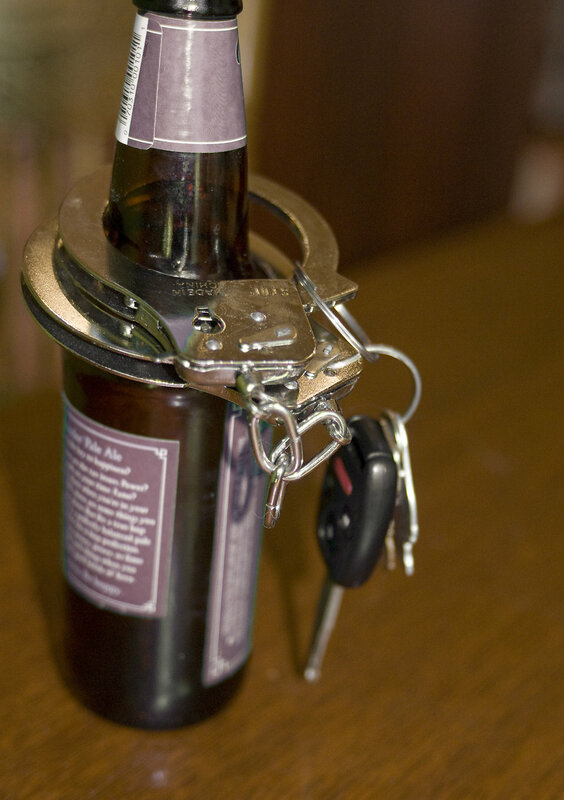 It is worth noting that the problem of intoxicated driving is still a huge problem! Consider the following facts about prescription drugs and North Carolina law. Even though North Carolina’s DWI statutes don’t mention prescription drugs specifically, the laws are still quite specific about the fact that a legal prescription doesn’t make it ok to drive under the influence. In other words, North Carolina DWI laws make no exception for any prescription drugs that are “capable of impairing a person’s physical or mental faculties.” The fact that they have been legally prescribed does not make any difference, as far as the law is concerned. If you are driving under the influence — whether the substance was legally acquired or not — you are breaking the law. This thought process is an unfortunate result of a lack of information given to the public regarding the dangers of some prescription medications — and many over-the-counter remedies, as well. While many of these products contain warnings, they are usually not given with the same sense of gravity as a bartender worrying about a patron driving home. Perhaps their manufacturers do not want their drugs to be associated with the same kinds of psychoactive or impairing effects that illegal drugs create, but the result is uninformed decision making that leads to driving under the influence. Side effects to watch out for include drowsiness, blurred vision, delayed reaction times, fainting, or disorientation. Some more serious side effects can dramatically affect coordination or create distorted thought patterns that make driving nearly impossible. Older adults are particularly at risk for these types of side effects because they may be prescribed multiple medicines, some of which may have unanticipated side interactions with each other. AAA reports that nearly 50% of older adults say they take seven or more medications yet still drive regularly. They go on to caution that medicines with impairing side effects or drug interactions can raise a driver’s risk of an accident by 300%. To avoid raising your risk of an accident, avoid taking medications that say “Do Not Operate Heavy Machinery” as a warning label. “Heavy Machinery” includes cars. Also, ask your physician about whether the medication can result in the inability to drive safely. It is also always a good idea to make sure that all of your doctors and your pharmacist knows all of the drugs you are taking because of the risk of unsafe drug interactions if you take multiple prescriptions. Note that some medications affect different people in different ways, and these effects can also fluctuate based on whether you have eaten, whether you have gained or lost weight recently, and several other variables. You can also develop habits that allow you to take your prescriptions as recommended while following a schedule that makes unsafe driving less likely. Have You Been in an Accident with a Driver on Rx Drugs? Not every driver knows that they should not drive on prescription medications, but ignorance is no excuse or defense when you break the law. If you have been injured by a driver who has tested positive for impairing prescriptions or who may have been using them at the time of the accident, you can work with a car accident attorney in Charlotte, North Carolina to build your case. The impaired driver may be liable for your damages, including medical bills, lost income, vehicle repairs, and pain and suffering. You can speak with a North Carolina car accident attorney during a free case evaluation when you schedule your free case evaluation today by calling 704-364-3361 or our convenient online contact form. The sun setting over Charlotte, NC. In terms of overall traffic-related fatalities, Charlotte, North Carolina’s Mecklenburg County ranks first — or last, depending on how you look at it. The most populous county in the state also had the highest number of drunk-driving related fatalities as well as fatal accidents involving occupants who didn’t wear their seatbelts. These facts were compiled over several years by the state’s Governor’s Highway Safety Program and the National Highway Transportation Safety Administration (NHTSA). The 2018 Highway Safety Plan Report for the state recorded incidents that occurred as recently as 2015. Our Charlotte car accident lawyers want you to be mindful of these statistics and we also want you to be aware of efforts taken by the state to reduce fatal road accidents in Mecklenburg County and throughout North Carolina. By knowing what’s at stake and how our state intends to fix it, we hope that you will take steps of your own to reduce deadly serious accidents in North Carolina’s biggest city. According to the 2018 North Carolina Governor’s Highway Safety Program Report, Mecklenburg County ranked at the top of the list of North Carolina counties for overall road fatalities in 2015. The county had 80 overall deaths stemming from motor vehicle crashes that year, beating the #2 county (Wake) by 15. On the other hand, Mecklenburg happens to be the state’s most populous county. In 2015, census estimates put the entire county, which includes the city of Charlotte, at 1,035,605 people. From that perspective, it makes sense that the county with the most people and likely the most cars on the road would by extension have the highest overall volume of motor vehicle accident fatalities. Looking solely at the county’s rate of car accident deaths per 100,000 people, Mecklenburg has 7.72. This figure means it ranks 90th out of 100 counties. By comparison, rural counties in North Carolina tend to have a low number of overall road fatalities but a high rate relative to their population. Robeson County, for instance, which includes the cities of Lumberton and Pembroke, had 53 road fatalities in 2015. Compared to its population of 133,375 people, the county had a fatality rate per 100k population of 39.74: over five times the rate of Mecklenburg! Robeson also had the fifth-highest number of overall motor vehicle crash fatalities, making it somewhat of an outlier. Other, smaller counties had more exaggerated fatal accident rates. Sampson County, with just 63,993 people in 2015, had 25 total road accident deaths, making it #2 in the state by rate. While one might be able to give context to Mecklenburg’s high accident fatality volume given its high population, but the county has no excuses when it comes to drunk driving and especially seat belt use. Statistics from the report indicate that between 2011 and 2015 the county had 127 total fatalities in crashes where alcohol-impaired driving was a factor. That figure accounts for nearly 7% of all such fatalities in the state and gives the county a death rate of 1.23 per 10,000 people. Again, rural areas in the state do tend to have higher rates than that. Hoke County, for instance, accounted for just over 1% of all DUI-related road deaths but had a rate 3.7 times higher than Mecklenburg’s. Robeson again topped the charts with its rate, which was an alarming 4.95. In this case, even a relative comparison still makes Mecklenburg County and the city of Charlotte far from blameless. DUI-related deaths are entirely avoidable, yet they tend to cause an anguish-inducing amount of fatal accidents per year. Even more alarming is the fact that Mecklenburg County has had a very poor record of seatbelt use, which directly contributes to the volume and rate of fatal accidents in the region. The report indicated that 44.6% of all road fatalities in the area happened to individuals who were not properly restrained. This figure includes both adults not wearing seatbelts as well as minors who were not given the proper restraints. In total, Mecklenburg saw 90 such fatalities between 2011 and 2015, accounting for just under 5% of the state’s total. Reduce the Number of Car Accident Deaths in North Carolina! The purpose of the state’s highway safety report was not just to scare individuals into making smart decisions — although that was certainly part of it. Alongside these grim statistics comes a ray of hope in the form of action-oriented programs designed to improve road safety and prevent avoidable deaths. For example, the Charlotte-Mecklenburg Police Department will continue its DWI task force project for the fifth straight year. The program aims to reduce alcohol-related fatalities, traffic crashes and injuries through both enforcement and education efforts. This task force includes seven dedicated officers who cooperate with other local offices to set up DWI checkpoints during peak hours at night, on weekends, and during holidays. Mecklenburg County has also participated in concerted efforts to improve proper restraint use. 2016 data from the seat belt survey indicates an observed seat belt use rate of 92.7% in Charlotte and the county at large. Drivers can help with these efforts — and reduce their risk of being part of a fatal crash — by practicing smart, safe driving techniques. Always use a seat belt, never drive impaired, and obey all road laws including posted speed limits. Every accident can be serious, but the dangers are increased when drivers engage in reckless behavior such as DWI. Even the most careful driver may suddenly find themselves the victim in a life-changing accident. If you or a loved one has been involved in a motor vehicle accident — remember that you have the right to get legal representation to assist you with your injury claim. You could be eligible for not just medical bill reimbursement but also compensation for your lost wages, pain and suffering, and other damages. Parents across the country spend sleepless nights waiting for their teenagers to come home. They worry about their children’s safety, especially when they are driving. Unfortunately, teenage drinking and driving is a very real problem in the United States, and parents are right to be concerned. Let’s start with the good news. Teenagers who claim to have consumed alcohol and then got behind the wheel has declined by more than half since 1991. The bad news is that there is still 1 out of every 10 high school students who admits to making this choice. While the rates have declined, drivers between the ages of 16 and 20 are 17 times more likely to be involved in a crash when they have consumed alcohol than those who drive sober. While the statistics say that fewer high school students are drinking and driving, high school students drink and drive about 2.4 million times each month according to the CDC. Of those teen who say that they have had alcohol and then driven a vehicle, 85 percent also say that they binge drink, or consume five or more alcoholic beverages within two hours. In 2010, 1 in 5 teenage drivers who had been involved in fatal vehicle collisions had some alcohol in their system. More than half of these teens had blood alcohol contents higher than what is legal for adults. The legal limit for adults across the country is 0.08%. No Tolerance – Any person in the United States who is under the age of 21 is not permitted to drive after drinking alcohol. There is no limit for people who are not of legal age to consume alcohol. Graduated Driver’s Licenses – Some states have adopted a system of graduated driver’s licenses. In other words, as teenage drivers move through the stages, they are given more privileges, such as driving at night. Each state in the country has this system, though the specifics vary. Parental Involvement – Research has proven that when parents lay down “rules of the road” and enforce those rules, teenage drivers are less likely to put themselves in risky situations. Besides talking to their children about safe driving and establishing rules, parents can model safe driving practices. They, themselves, can actively choose to not drive if they have been drinking. Parents can also be sure that their teenagers understand that they should call home, without fear of punishment, if the person they are riding with has been drinking. Parents can also permit only one passenger, if any, in the car with their child if they are new to driving. They can limit nighttime driving and install apps on their child’s cell phone that prevent alerts from coming through when their child is driving. If your child has been injured in a vehicle accident in Charlotte and the at-fault driver was found to be intoxicated, you have legal rights. Call our office today to schedule an appointment for a free case evaluation. The Panthers may not be in the biggest football game of the year, but that likely isn’t going to stop you from watching. Maybe you are that person that only watches the Big Game for the commercials. No matter — it’s still fun to celebrate. Whether you are hosting a party or attending one, you need to do so with safety in mind. Here are ways to ensure that you aren’t dealing with a civil lawsuit, an injury or even a criminal charge the morning after the party. As the host, you are taking on the responsibility of the safety of every person in your home. You may not like it, but that’s the way it is. With that in mind, there are a few things you can do to help ensure that everyone has a good night and ends it without trouble. Serve plenty of high-protein foods in conjunction with alcohol. These will help slow the absorption of those adult beverages in the system of your guests. If you don’t want to cook for everyone, consider hosting a potluck to make sure there is plenty of food available. Keep soft drinks and water stocked. Not everyone at your party will want to drink alcohol, and even those that do may want a soft drink “buffer.” Put the alcohol away after the halftime festivities have concluded. Switch to coffee and water. This will help to ensure that the people at your party will have stopped drinking by the time it’s time to drive home. Take keys at the door. If anyone tries to leave, they will have to come to you to get their keys and you will be able to judge whether or not they are too intoxicated to get behind the wheel. If this is the case, offer to arrange for a sober ride home or toss them a pillow and a blanket and point the way to your couch. If you will be attending a party, the smartest thing you can do is to arrange for a sober ride home before you start drinking. Whether you choose a designated driver to go with you or install the Lyft app on your smartphone, make a plan for getting home safely. Alternatively, you can always ask your host if you can spend the night — just be sure to make arrangements before Sunday night. Pace yourself while you drink. Drink a glass of water for every alcoholic beverage you consume, and be sure to eat plenty of food. This will help mitigate the effects the alcohol has on your system. If it comes time to leave and you think you are a bit too intoxicated to drive safely, don’t. If you are injured in an accident involving driving under the influence in Charlotte after the Big Game or at any other time of the year, we are here for you. Reach out to our team of car accident attorneys for a free consultation and discover your legal options. We are here to assist you as you put the pieces of your life back together. People are starting to think about how they will spend New Year’s Eve, if they haven’t made the decision already. If you are looking for a great place to eat, drink and make merry, there are several places in Charlotte that will be holding bashes to welcome in the New Year in style. Here is a list of not-to-miss parties around town this year. This is the official party of the city. Head to Romare Bearden Park at 6 p.m. for this family-friendly event. You and your loved ones will enjoy fireworks, food trucks, crafts, a DJ and games, not to mention the raising of the Charlotte Crown. The event is open to the public and is alcohol-free. Purchase tickets here. This event is one of the most popular among adults. The all-inclusive package at The Westin gets you a night filled with music and dance. Playlists spun by DJ Lebron will feature hip-hop, techno-house and rock. Welcome in the New Year with your dancing shoes on. This party is sure to be as unique as it is entertaining. Presented by Disco Donnie & Sugar Society, the dance party will ensure that you are welcoming the New Year in an exciting way. This DJ is in demand across the globe, and you have a chance to witness the magic right here in Charlotte. Billy Jonas Concert Experience is being held at The McGlohon Theater this year. Bring along the whole family for this interactive music experience. It is rare to see a musician play not only traditional instruments, but make beautiful music using buckets, bells and even the human body. There are several different party packages at Howl at the Moon this New Year’s Eve. Choose Standing Room for guaranteed admission, two drinks and a champagne toast. If you are feeling a bit more play in your budget, choose the Champagne Supernova package for seating, a buffet, drinks and a midnight toast. Packages for the party range from $40 to $100. Maybe you dream of a New Year’s Eve spent in New York City, but don’t have the means or desire to travel. Stay right here in town and attend the New York New Year’s Eve Event at Leroy Fox’s A New York. You and your guests will enjoy a five-course meal with an amazing selection of New York City-themed cocktails. Tickets for the event are only $70 per person. No matter how you choose to spend New Year’s Eve, make sure that you arrange for a sober ride home if you will be drinking. If you happen to be involved in a car accident in Charlotte during the season or after, call our experienced team of accident attorneys. We will help you schedule an appointment for a free case evaluation at which time we will advise you of your options. In the mean time, browse our website for more information about our firm and the types of cases we have successfully handled. Every year, more than 10,000 people die in drunk driving and drug-related car accidents. Hundreds of thousands more people suffer injuries. Unfortunately, many of these injuries are life-altering. People who survive these crashes may spend the remainder of their lives disabled or disfigured. The things they were able to do before the crash are impossible to do after. Some who survive require medical care for the rest of their lives. What follows a DUI accident can be as traumatic, or more traumatic, than the crash itself. There may be physical pain and suffering. Some families are saddled with financial burdens that are too much to bear. Survivors may find themselves facing tens of thousands of dollars worth of medical bills. These financial burdens combined with a loss of income can bankrupt a family. This is why drunk drivers who are convicted after a car accident may be held civilly liable for the injuries caused to their victims. Any person who makes the decision to get behind the wheel and drive after consuming alcohol or taking drugs may be financially liable for the results of their decision and actions. The victims of these drivers may be entitled to compensation for lost wages, medical care, pain and suffering and other damages. The law may limit the amount of compensation a victim is able to recover beyond the cost of actual damages or injuries. Victims of drunk drivers have a legal right to seek compensation from the individual who caused the accident they were involved in. Any person who has been injured in a drunk driving accident, or has had a family member or loved one killed in this type of accident, should consult with an attorney who is experienced in car accident law. An experienced attorney can assist the victim or their families in seeking the compensation they are entitled to. If you have been injured a car accident in Charlotte, you have rights. Call our team of personal injury attorneys today and schedule an appointment for a free case evaluation. We are here to assist you and your family as you put your lives back together following this traumatic event. Call today or browse our website for more information about our firm and the types of cases we handle. If you plan on partying this Halloween, whether or not you will be partaking in an adult beverage or two, it’s important to know that 52 percent of all drunk driving fatalities occur on Halloween night. From 2007 to 2011, 172 people lost their lives in drunk driving related crashes on one of the most popular holidays in the nation. There is nothing wrong with heading out in your best costume and celebrating with friends. What you don’t want to do is celebrate so hard that you aren’t able to get home safely. Worse would be to drink and get behind the wheel, putting not only yourself in danger but everyone else on the road. According to statistics, young men between the ages of 21 and 34 are most at risk of being involved in a car accident due to buzzed or drunk driving. During 2011 and beyond, this age group comprised almost half of all drunk drivers who lost their lives in alcohol-related crashes. Because the holiday is so popular and because traffic collisions are so prevalent, law enforcement agencies around the country will be stepping up patrols. By planning ahead, you can avoid turning the road into your own scary story. Before the party begins, find a way to get home at the end of the night. You may choose to designate a sober driver, load an app like Uber onto your phone, or decide to use public transportation. You may also choose to spend the night at your host’s house once the party has ended. Drinking and driving on Halloween is a dangerous choice. You will be putting yourself and others in a potentially deadly situation. 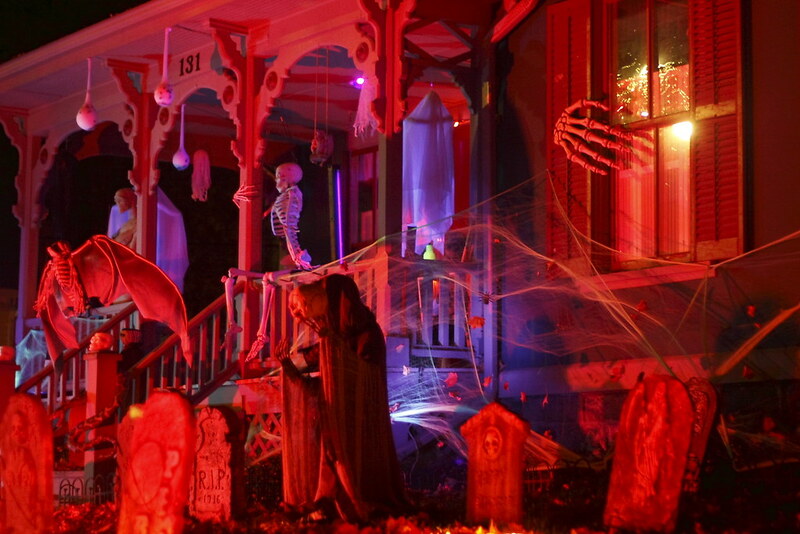 There is nothing that says you can’t go out and enjoy yourself on Halloween, but you do have to go about it safely. You don’t want your party to turn into an event that has lifelong consequences. If you or a loved one has been injured in a car accident in Charlotte or the surrounding area, call our team of accident attorneys. We are happy to help you schedule an appointment for a free case evaluation at which time we will review your case and advise you of your options. Call now for assistance or browse our website for more information about our firm. Preventing drunk driving is perhaps one of the most important initiatives in the country. Thousands of people are killed each year because they or other drivers on the road choose to get behind the wheel after having one too many. When it comes to measures to put an end to drunk driving, many things have been tried. Some have worked, and some have proven ineffective. One of the best ways that law enforcement has used to curb drunk driving is simply to ramp up their enforcement. Instead of hoping to stumble upon a drunk driver, many agencies across the country pay specialized teams of enforcers. These specially-trained officers work on task forces that are designed and trained to spot drunk drivers and get them off of the road. Sobriety checkpoints have often been proven effective. While it is mandated that these checkpoints must be announced well ahead of time, it seems that people either don’t hear about them or forget about them. In some states, DUI courts have replaced criminal courts for drunk driving offenders. People who go through these systems are sentenced to rehabilitation in lieu of jail time. Treatment programs have been shown to be effective in not only getting drunks off of the road, but helping to make sure that they are also cured of their alcohol addiction. When people are hit where it hurts, they pay attention. A method that has been proven effective in removing drunk drivers from the road is immediately taking away the driver’s license of anyone who is caught driving under the influence. This is often enough to cause a hardship to people that they do not want to deal with again. One measure being considered in the effort to reduce drunk driving is to reduce the legal blood alcohol content threshold from 0.08% to 0.05%. This, however, does require more research before it is implemented. 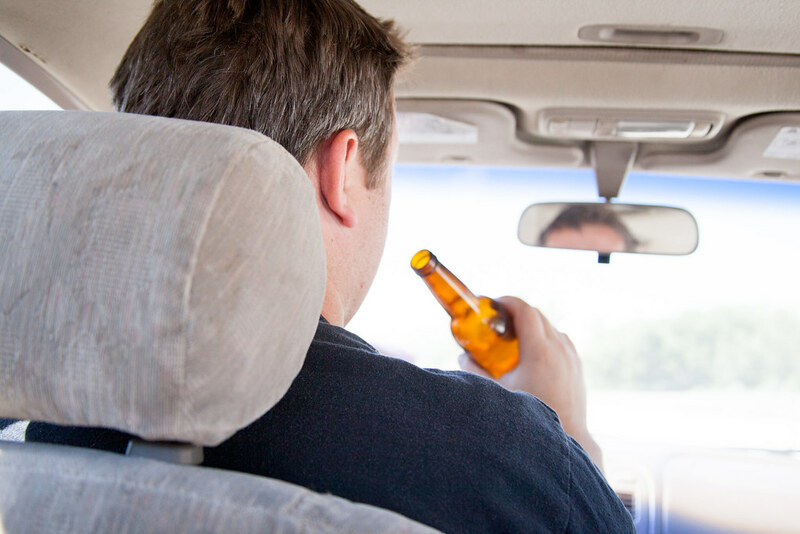 While it is known that lowering the legal limit will cause more drivers to be charged with drunk driving, it is unlikely that it would put a significant dent in the crime. A second consideration being investigated is requiring, by law, a blood test any time a crash results in an injury. Again, this may result in more charges and a higher conviction rate, but it is unknown at this time what kind of effect it would have on preventing people from getting behind the wheel. If you have been injured in a car accident caused by a drunk driver, you may be entitled to more compensation than the insurance companies have offered you. Call our personal injury attorneystoday and allow us to review the details of your case at no cost to you. Call now. A teenager and alcohol is not only an illegal combination, it is a dangerous one. Teenage drunk driving injures or kills thousands of people each year. You may have had a talk with your teenager, or one that you know, about the dangers of alcohol and drunk driving, but have you given them the skills they need to say no? It can be difficult for teens to say no to their friends. It can also be difficult to refuse temptation. By developing the right skills, your teen will find it easier to overcome peer pressure. Here are some skills you can help your teen practice. Teach your teen to verbalize their concern for friends who choose to drink. This can be helpful for teens who find themselves in social situations. What can your teenager say to their friend to persuade them to not drink? Brainstorm some ideas together. Help your teenager think of alternatives to drinking or to social situations in which drinking may occur. There are dozens of healthier and smarter alternatives to drinking alcohol. If your teen turns down a drink while looking at the floor, shuffling their feet or talking under their breath, they aren’t going to be taken seriously. Teach your child about strong, confident body language. Eye contact, pulled-back shoulders and a firm stance will all make your teen come across as serious. Your teen may be confronted with a situation out of their control. They may encounter alcohol unexpectedly or be forced to deal with friends who choose to drink. Make sure that your child always knows that they can call you for a ride home that is free of lecture or punishment. Teenage drunk driving is something that everyone needs to take seriously. When you take the time to equip your teen with ways to say no, they may be less likely to drink with friends and acquaintances. Use the tips above and start teaching your young adult how to turn down temptation. If you have been injured in a drunk driving accident, call our offices today. Our team of personal injury attorneys is here to assist you. Call now.